Don’t Miss Brian Fallon and The Crowes w/ Cory Branan | Sunday, Jan. 17 @ City Winery! Ahead of his debut solo album, Painkillers, which he recorded here in Nashville with beloved producer Butch Walker, Gaslight Anthem frontman Brian Fallon is embarking on a short tour with a backing band he’s dubbed “The Crowes” (not to be confused with his former side project The Horrible Crowes, though the name is surely no coincidence). Fallon will perform this Sunday, Jan. 17 at City Winery, which, at first glance, feels like an odd fit for a singer best known for his punk roots, but makes perfect sense with the folkier, more pop accessible sound his solo material (and even more recent Gaslight Anthem) has adopted. Local favorite Cory Branan is set to open, making this a very special bill, and very few standing tickets are still on sale, while seats are on a waiting list. For a decade, singer, songwriter, and New Jersey native Brian Fallon has best been known for fronting seminal heartland punk group The Gaslight Anthem, who announced last year that they would be going on a hiatus. While Fallon has flirted with side projects before, most prominently The Horrible Crowes and Molly and the Zombies in recent years, he’s decided to focus his newfound free-time this time on releasing his first major solo effort. Recorded right here in Nashville and produced by Butch Walker, the album is called Painkillers, and will arrive March 11 through Island Records. So far, only one official single has been released, but if powerful, personal tune “A Wonderful Life” is any indication, we’re in for a real treat with Fallon’s first solo foray (early buzz also says that’s very much true). Since the album isn’t even out yet, we’d expect Brian’s City Winery set to contain a healthy mixture of songs from other projects, mostly The Horrible Crowes (he’s even calling his backing band “The Crowes” for this tour) but likely with a few Gaslight favorites sprinkled in. With his punk background, flair for folk and alternative, and unparalleled ability to craft raw and honest songs, we’re sure that no matter what Fallon plays, it won’t disappoint. For more than a decade, Nashville-based singer-songwriter Cory Branan has been making a name for himself with his personal flavor of alt-country infused folk rock. Able to weave between genres and appeal to everyone with his unique, universal gift of song, Cory has become an indispensable part of the underground scene, and will serve as a perfect compliment to Brian Fallon’s folkier tendencies and rogue spirit. 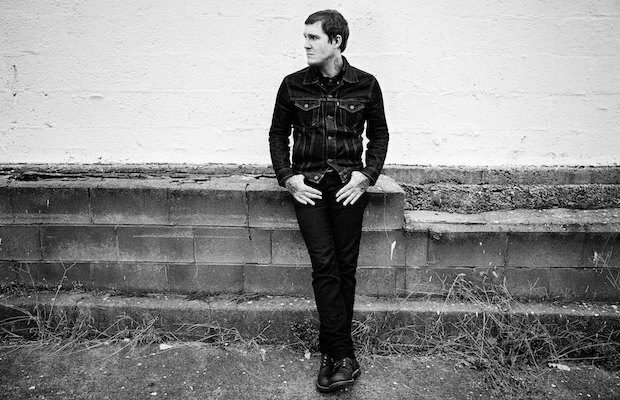 Brian Fallon and The Crowes will perform Sunday, Jan. 17 at City Winery with Cory Branan. The show is all ages, begins at 8 p.m. (doors at 6 p.m.), and standing room tickets are available for $22, while seated tickets have a waiting list.